A very smart Fancy Handbag which is made of stuff called Kauna Grass that is 100% Natural and Eco Friendly. Specifications - Export quality fabric and durable. - Payment mode - T/T, PayPal, L/C, Western Union, MoneyGram etc. 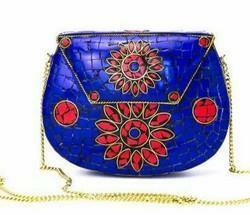 HTI is the handcrafted bag sourcing agent and exporter. We are the reputed supplier of Indian handcrafted bags, include professional quality control, and Exhaust inspection, Product Design & consultation of to overseas customers. 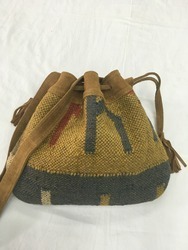 We deal in quality and cost effective handmade bags like Banjara Bag, Jute bag, Clutch bags, tote bags, canvas bags etc. - Description : A modern look with the subtle touches of Kasuti.